Selene's Blog and Page for Classic Streamers; and you can finder her interview on the podcast the Liar's Club. 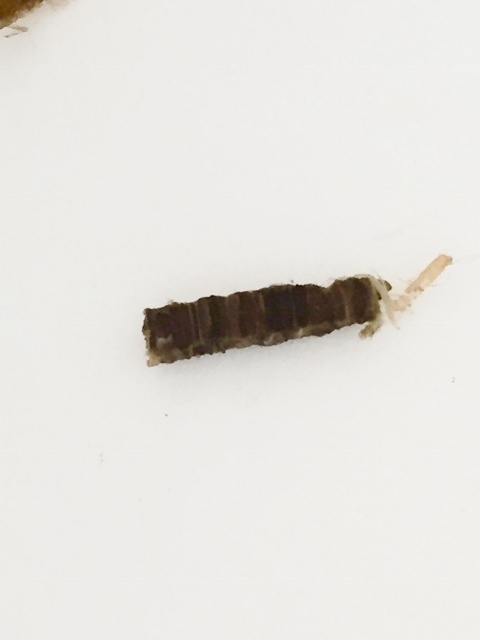 Let’s start with Rhyacophilidae – or the free living caddis. 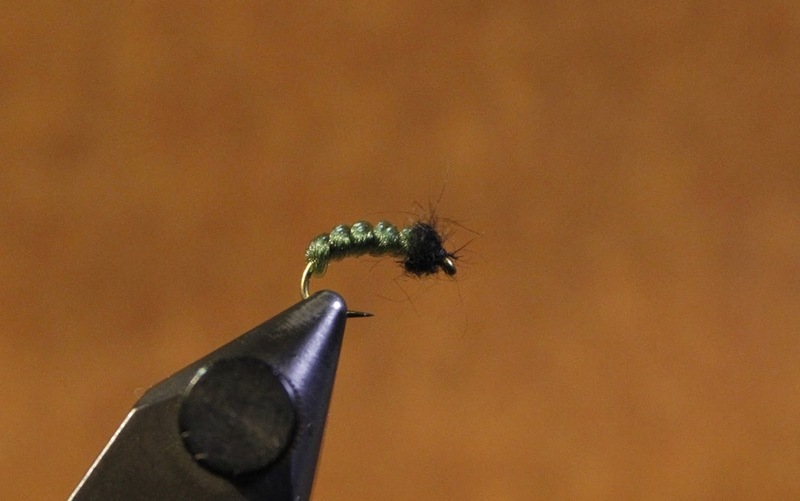 The one everyone likes to imitate here is the green rockworm. 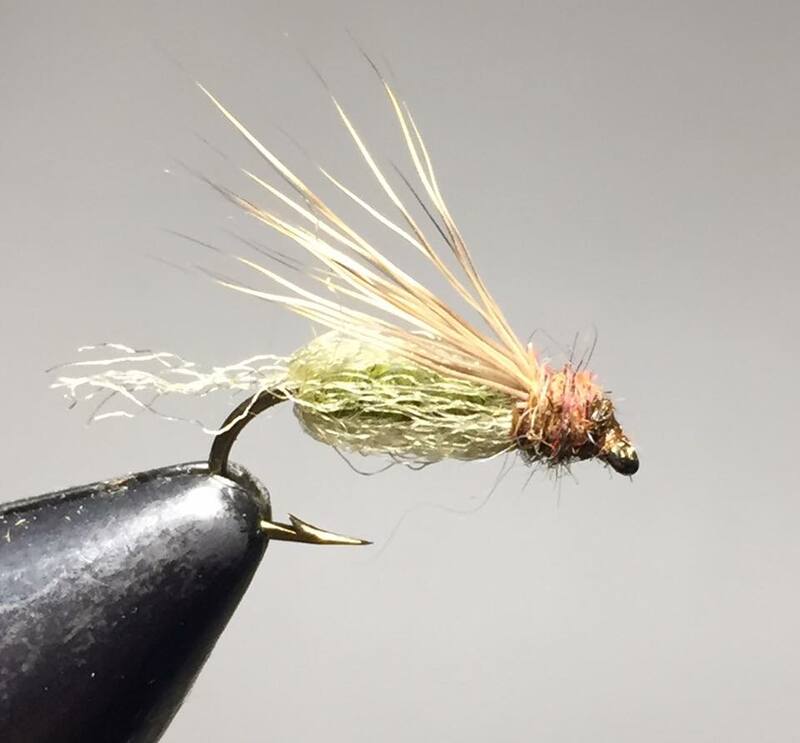 In part because it is beautiful, but honestly also because it is common in trout streams, it is effective and fish eat them. 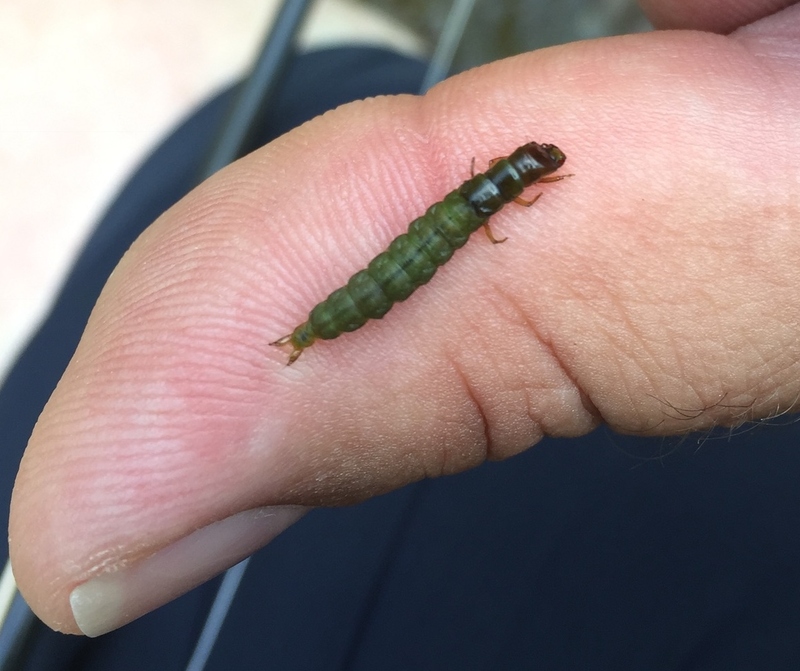 In terms of the larvae – they look like this. This particular guy is one of the ones that is dark on the top, and green on the bottom – as you can see from the first picture. Body: twisted synthetic fiber, like crystal flash, twisted and wound. Head – bead or thread. Can’t get simpler than that. 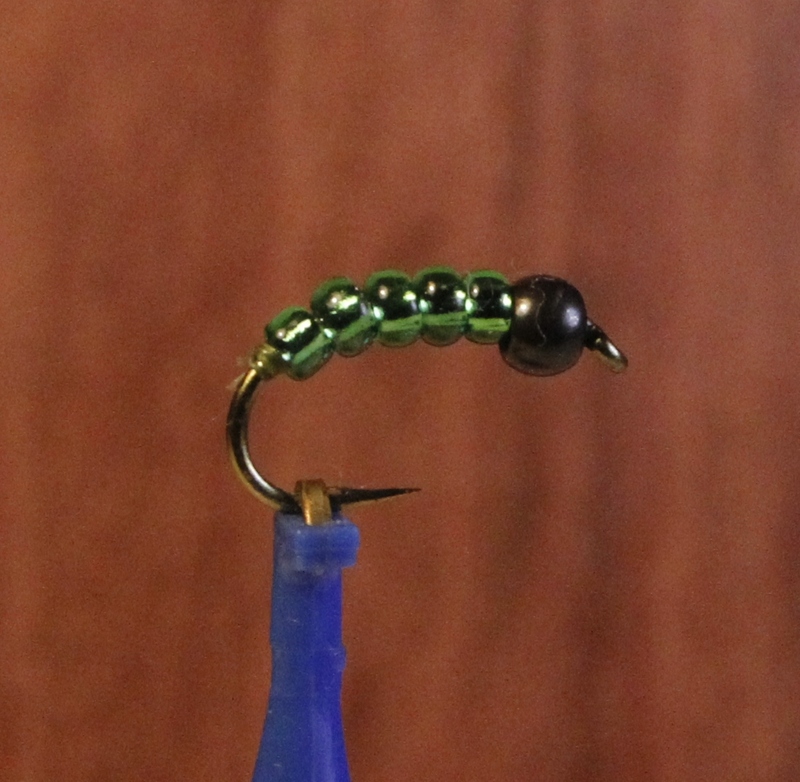 Again, another easy fly - tungsten bead followed by green beads. 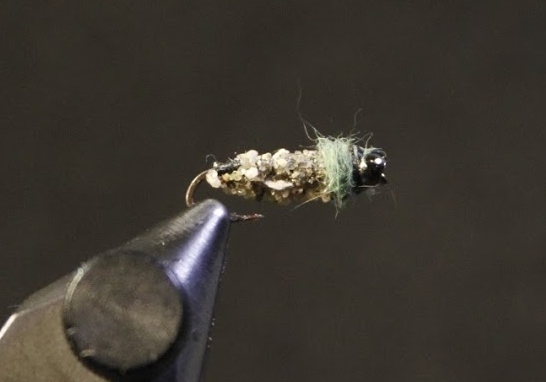 OK, so let’s move onto the group of cased caddis. Where the first one we’ll talk about is Brachycentrus. Body: several strands of different colored wire, wound up the body. What’s interesting about this is the case – which is turkey quill, cut and split down the middle. The pith is then pressed in, forming a notch. 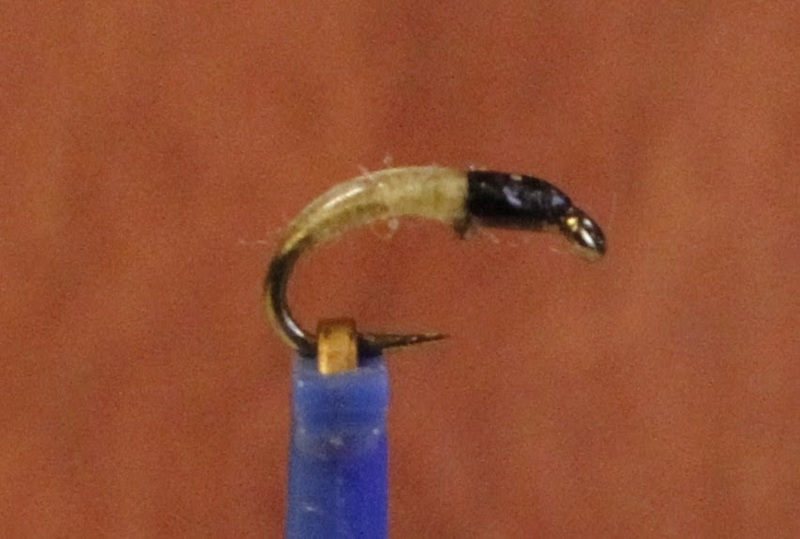 The hook shank is placed in that notch, with a piece of quill on either side of the hook. Glued in. She then uses permanent marker to color the thread orange, adding black spots onto the orange thread. That, wrapped around the quill, gives the square Brachycentrus case. Cool huh? 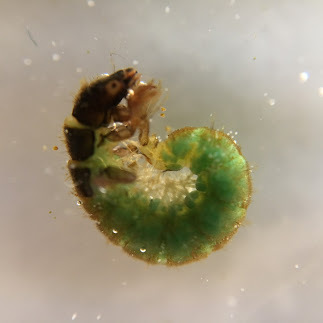 She then uses the turkey quill fibers, torn from the quill to give that little foot, as the legs, and then glass beads, green and black for the protruding abdomen and thorax/head. So, while I clumped the case caddis families all together, there is tons of diversity in this group. 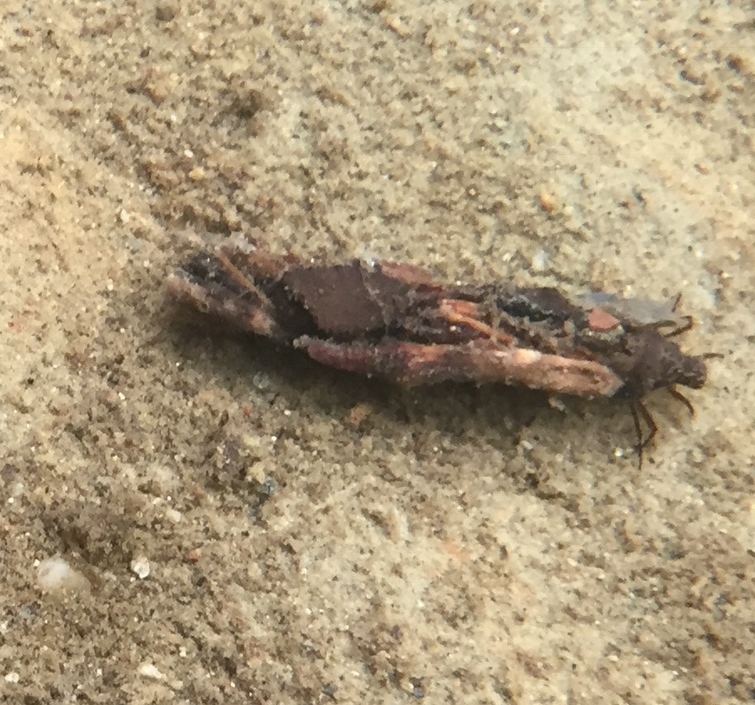 Both in terms of the different types of caddisflies, but also in terms of the different styles of cases. Cases can be square, or round, made of stones, or twigs or even bits of vegetation. 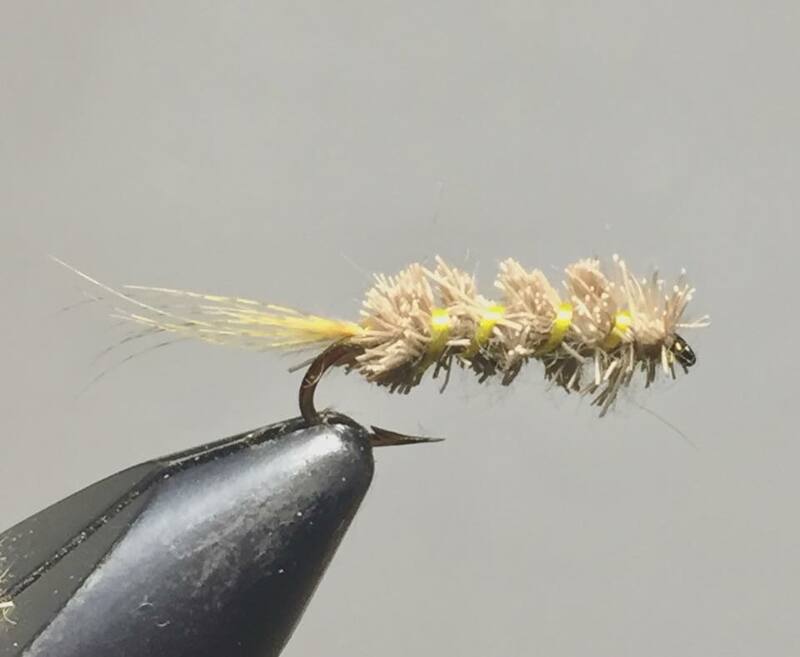 So rather than say, “ok, for Limnephilidae I make a case like this” below I’ll just put some examples of the cased caddis imitations I tie and you can see what you have in your stream and use these imitations as an inspiration to tie or buy something similar. Some folks think it is cheesy but I actually like this imitation. It is simply sand epoxied to a hook. I usually put down a base like thread, coat it with epoxy and then place it into a little petri dish of the sand of choice. If you are an ‘attention to detail’ kind of guy, you can even gather sand from the stream where you fish and make your flies to match that local environment. It is fairly straight forward – just a deer hair body tied sparse and trimmed down. I have to admit, I’ve been tying bass bugs too long and I have a really hard time tying them sparse enough – but Justin did a nice job here. I think the idea is that the deers hair mimics the sticks etc. 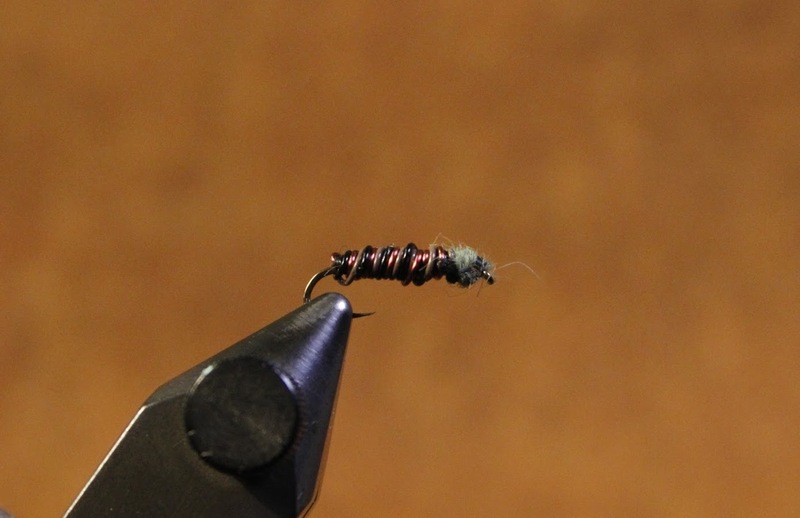 used by the caddis when building a case. 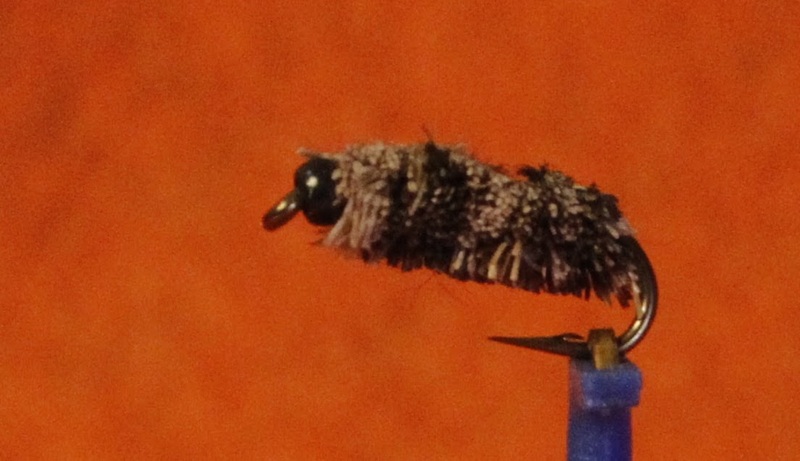 What may be the most important caddis to imitate is the free living caddis in the family Hydropsychidae. 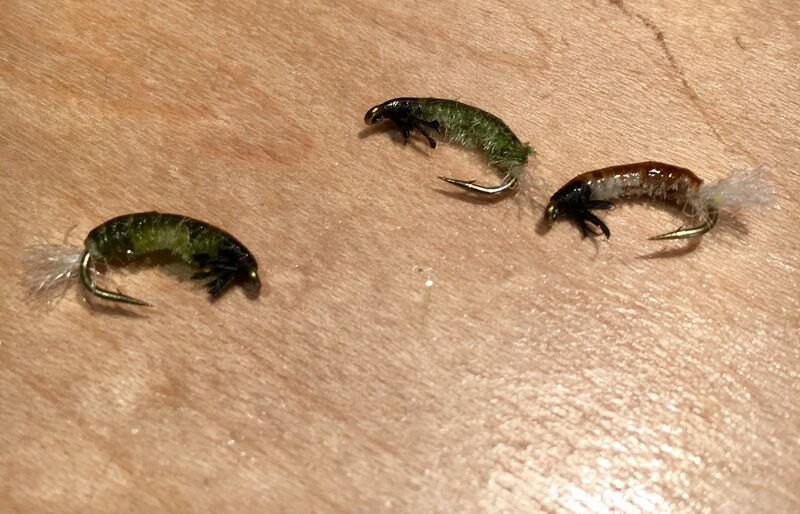 Here are some examples of the naturals with a zebra caddis first, and a nice green larvae following. 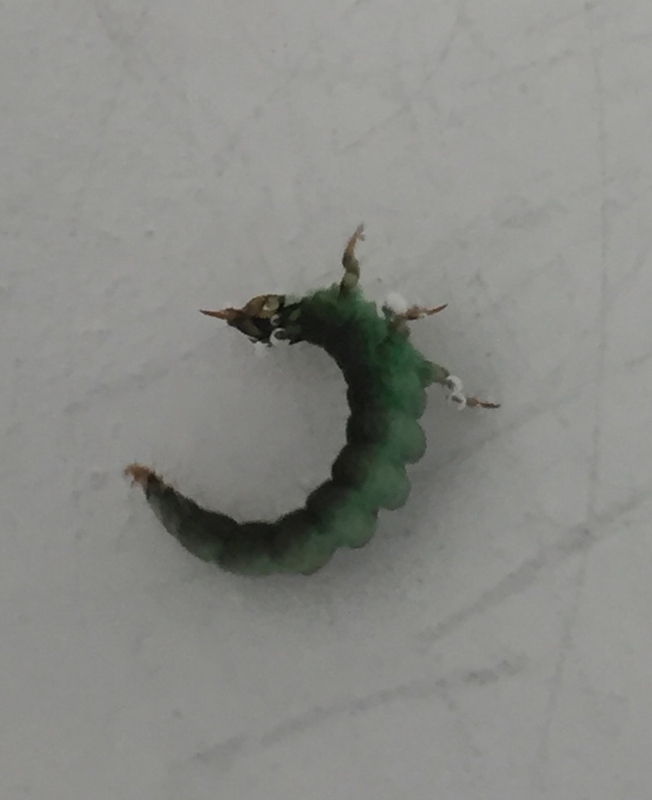 I have to admit, most of the larvae I’ve seen around here are more of a cream to tan, but this is a nice green one. Note the plates on the back of the thorax and the gills on the underside of the abdomen. That’s really all you need – and it is made only with thread and head cement. Honestly, the head should be made more reddish to match the lightly colored sclerotized head/thorax, but I opted for black. This is about a size 18 or 20. 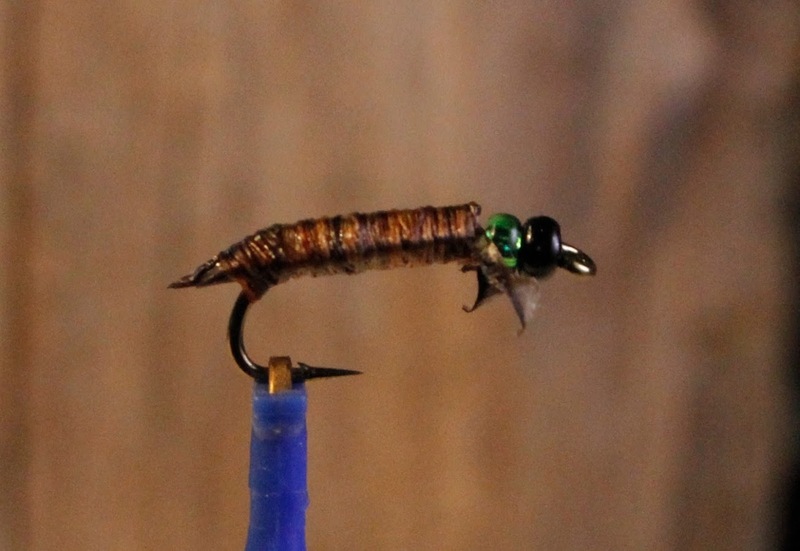 A podcast about re-discovering fly fishing entomology. 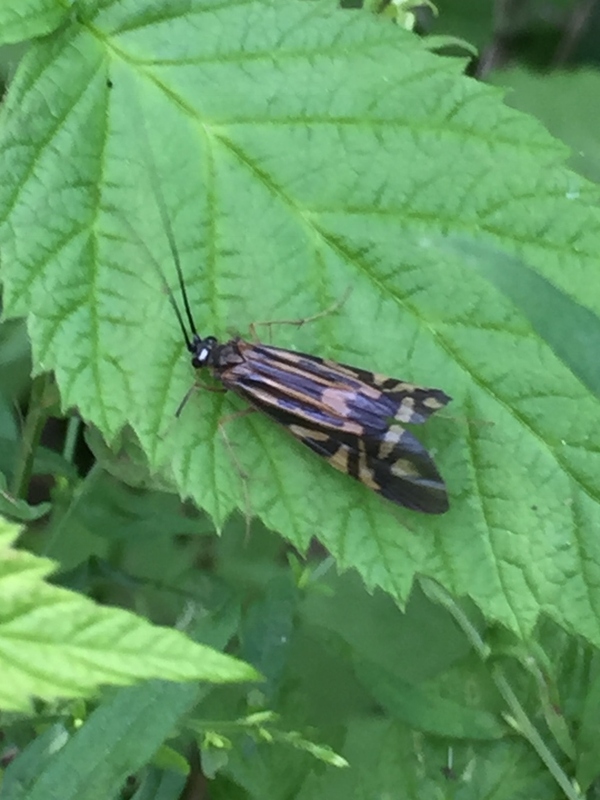 We will review the major groups of aquatic insects - both relevant facts for fly fishing, but also interesting twists that make these critters fascinating.